Bella's 1953 Chevrolet Pickup Truck. . Wallpaper and background images in the Twilight Series club tagged: twilight cullen cars bella's car. 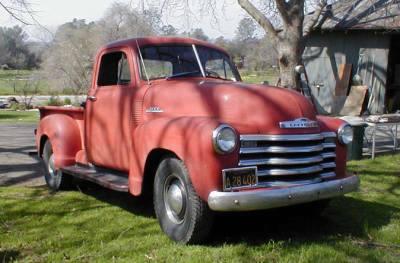 This Twilight Series photo might contain pickup and pickup truck.